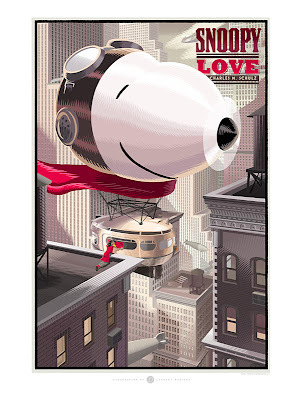 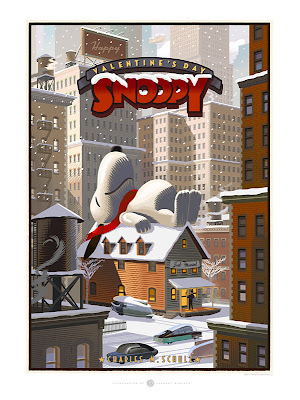 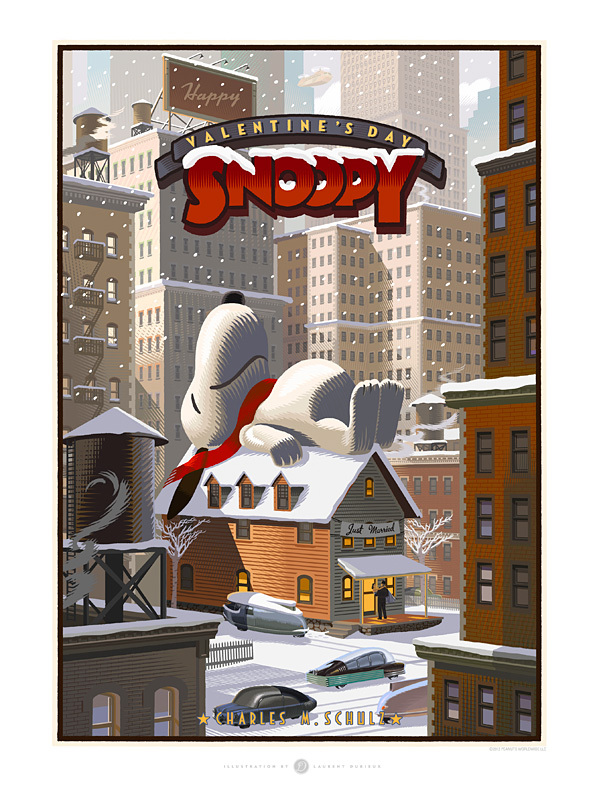 Dark Hall Mansion has announced their latest batch of limited edition Peanuts fine art prints, celebrating both Valentine's Day and Snoopy with artwork by Belgian artist Laurent Durieux. 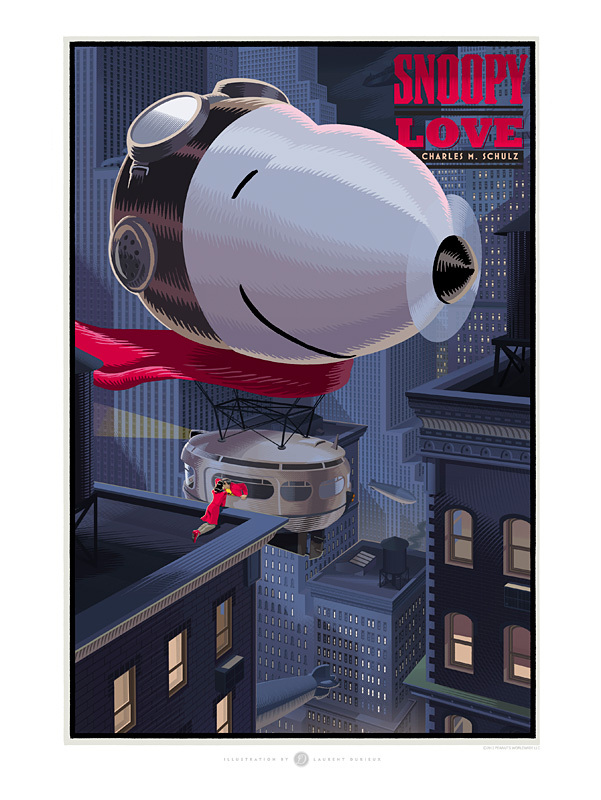 Unlike Dark Hall Mansion's previous two Peanuts print releases, the new prints aren't based on a television special and instead present a unique and different take on Peanuts art. Visit Dark Hall Mansion's blog and Facebook page for more images and information about the prints and artist Laurent Durieux. Each piece of artwork will be numbered, 18" x 24", and printed on 310 Gsm Hahnemuhle German etching paper with archival pigments. Orders are expected to ship in time to arrive by Valentine's Day. 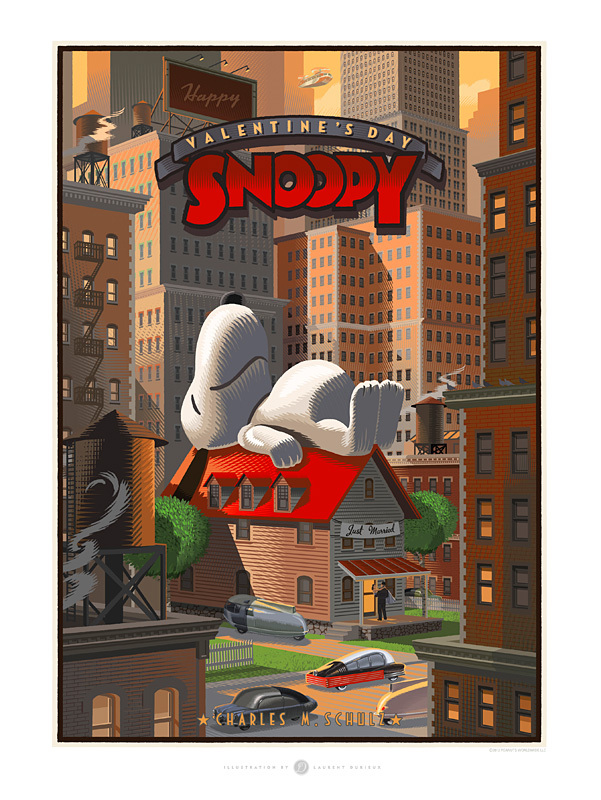 Dark Hall's previous limited edition Peanuts prints have sold out very quickly, so if you're interested, be ready to order as soon as they go on sale.